Dr.Akriti: Consistency & regular studies. Right Guidance of DAMS teachers played a vital role. Dr.Akriti: My parents always motivated me to try for better & my group of friends is very supportive in all terms. Dr.Akriti: My Mother & father always wanted me to take up medicine & also my liking for this branch. Dr.Akriti: There were times when I felt I may not be able to do it but I got over soon. Once we start studying well it gives a positive feedback to do even better. So that keeps me going. Dr.Akriti: For theory, Pharma-GRG, Patho & PSM-Arvind Arora, Radio-Sumer Sir’s Book, Opthal-Ruchi Rai Mam’s Book, AMit Ashish for Medicine & Surgery Plus 10yrs volumes. Dr.Akriti: For MCQs Revision, volumes atleast 10yrs are the best specially in last days. I found Amit Ashish Surgery & Medicine books very helpful for revision. Rest it all depends on how fast we can complete the syllabus & start revision. Dr.Akriti: Last yr, I lacked concepts in Physio, Paeds, ENT, Radio, Opthal. These subjects in DAMS are covered as well that I found a lot of diff in performance. All the subjects esp surgery are taught extremely well. 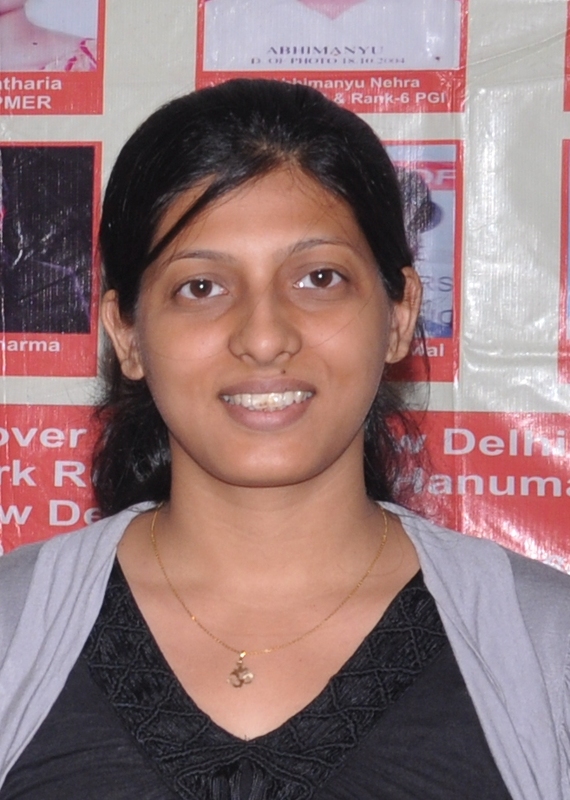 Dr.Akriti: I find selective & smart study the best. In the constraint of time we have to decide what to study from where. Deciding this wins half the battle. Dr.Akriti: Multiple PG entrances put us in lot of stress. Its better to appear for one exam with full zeal. Dr.Akriti: Paeds, Patho, Radio, Pharma, Opthal. Dr.Akriti: I appeared for exam just as I used to appear for tests. The aim was to cool temperament & have patience. I attempted all 180 questions because I believe attempting more gives better chances of success. Dr.Akriti: I want to specialize in Radio hopefully delhi. Dr.Akriti: Naming first few of them would not be right. All have contributed a lot. To name a few Dr.Sumer Sethi, ENT Sir, Paeds Sir and Opthal Mam were of tremendous help. Best part about DAMS is friendly environment and that the teachers are always ready to help. I would definitely recommend my juniors for DAMS.